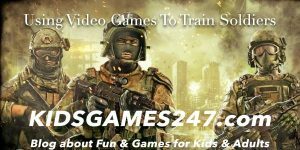 Kids Games 24/7 - Fun & Games for Kids & Adults! Video games have always been a popular pastime in this world. Their future is bright, yet there are definite changes coming to reflect the tastes of today’s video game players. The newest development in their evolvement is cloud-based. The technology used to stream TV shows for services such as Netflix and Hulu is the same technology that is making video games cloud-based in the near future. There are benefits to cloud gaming, including consumers no longer having to purchase software programs for this use. With video games becoming increasingly social by the day, cloud gaming will make it easier to allow for multiplayer functions and makes sharing relevant videos and pictures that much easier. While players will benefit from cloud-based video gaming, so will manufacturers. This allows them to charge fees for subscriptions to specific games. It also saves them money, as they can avoid producing gaming software, an undertaking that can become quite expensive. Electronic Arts is one video game manufacturer that is likely to see some financial benefits from offering subscriptions while cutting down on the cost of producing hardware. However, manufacturers of gaming consoles are fighting to compete with cloud-based video gaming. They may not be able to win the fight and as a result, manufacturers such as Microsoft have already purchased software that will allow them to offer their own platform for cloud-gaming. Microsoft and other manufacturers are now competing with Amazon to release better cloud-based video games. The video game industry has always been extremely successful, and cloud-based platforms are expected to make it even more successful in the coming years. There is an expectation that cloud computing will make video games more appealing to a growing number of demographics that may not have been interested in it before. Thanks to 5G Internet speeds, cloud-based gaming may eventually surpass traditional video game software and become society’s new normal. One of the current problems with this type of gaming is that latency isn’t what it should be. 5G technology is expected to eliminate this problem in the future. As of now, many Internet users experience 4G speed, which is not always fast enough to support cloud-based video games so that players get the maximum level of satisfaction out of them. With a 4G connection, latency is generally at 10 milliseconds, but 5G is expected to reduce that to 0.5 milliseconds of latency. The benefits of 5G technology include the ability for players to access older games on brand new devices. This saves game manufacturers time and money because it eliminates the need for them to avoid remaking older video games to upgrade their video quality to HD. 5G technology will also allow players to run video games on computers that may not have previously had the correct specs for a particular game. Cloud-based gaming and G5 are set to change the ways in which video games are distributed by manufacturers and enjoyed by players in the coming years. We also want to give a recommendation from a site where you can find a wide selection of game rules. They just wrote a post where they list the top five best card games for kids. When you need a break from your screen but still wants to play. Card games is one of the best thing you can do. Online gaming is quickly becoming more popular than it ever has been before. Now known as iGaming, it is transforming the way the younger generation plays. There are certain trends in iGaming that are encouraging them to do so. One of those trends is virtual reality. 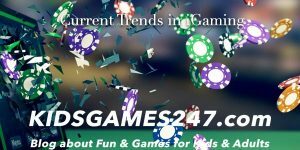 Online casino games are already adopting the technology to offer players gaming experiences that in the past they only dreamed of. With nothing more than a headset, players can have a 3D experience in many of their favourite games. This includes table and slot machine games and is helping to blur the line between an online casino and a land-based casino. A close relative of virtual reality augmented reality, is also finding its way into the i-Gaming industry. One very well-known example of this is 2016’s Pokemon Go, which attracted worldwide attention. This is likely to lead to more augmented reality (AR) games in the near future. AR is a cheaper technology to implement in online games than virtual reality is, boding well for its future success. Another trend is the emergence of smartwatch gaming. Both Samsung and Apple now produce smartwatches that let players experience Poker and casino games in an entirely new way. Gaming apps have been created for these specific brands of watches and it is only a matter of time before more general casino game apps are created that will allow players to use a smartwatch from any manufacturer. Perhaps a somewhat surprising trend in iGaming is Bingo. Thanks to the worldwide interest in the game, several different versions of it are now available to players. This has helped contribute to the growing popularity of the game since in addition to the standard 75 and 90 ball versions of the game other variances of it include titles such as Death Bingo and Quick Shot. Death Bingo takes a unique approach to the game, as the player that makes it to the end without getting Bingo is declared the winner, as opposed to the players who actually achieved a Bingo on their game card. However, online gaming is about so much more than just casino games. eSports Leagues are also trending in 2019. One popular game in 2019 is football and bet on that in a casino. Now the industry that earns multiple millions in revenue, it is projected to earn over one billion dollars before the end of 2020. The future of eSports is set to include the creations of countless gaming competitions and leagues. While virtually every type of i-Gaming has typically been associated with male players, the number of female players adopting it as a hobby is growing. In fact, almost half of today’s gamers are women of various ages. 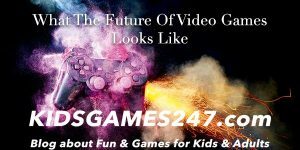 As a result, the stereotypical male friendly online games are fading away as manufacturers are focusing on releasing online games that both genders can enjoy. 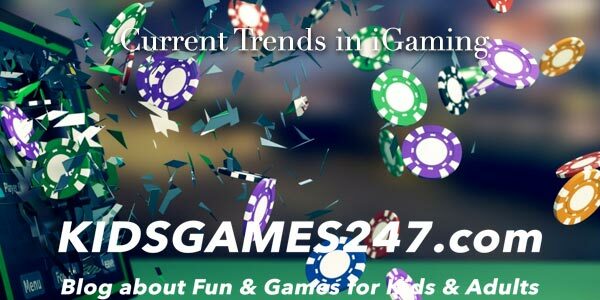 These are the current trends in iGaming for 2019. The future of the industry as a whole is one that is likely to keep changing and evolving as online gaming is transformed to have universal appeal. For years now, video games have served as more than simply entertainment. 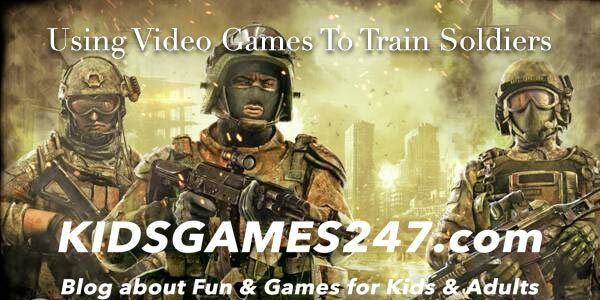 Certain games are now being used to train soldiers for the military. Since the idea is that those men and women now joining the military grew up playing video games, it seemed like a natural teaching tool to many. In 1981 people became familiar with the Patriot missile system. Now that it’s 2018, it has been used to create a video game for training purposes. Members of the military can use it to learn the proper way to safely use the weapons they are later required to use in battle. It is thought that this is a much quicker way to teach them these skills than was ever possible in the past. 12 countries now use the Patriot system to train their new soldiers. Since 2013 there has been a strong emphasis on video games as a teaching tool. The software and the consoles used to train members of the military are very similar to today’s popular game consoles such as Xbox and Playstation. These video games are created using soldiers wearing appropriate gear that allows them to attract sensors. The soldiers are then filmed using infrared cameras. This is how characters for military training games are created. Games have been created in which multiple soldiers pose as the inspiration for avatars and make their way through a virtual area of land that is meant to simulate the battlegrounds real-life soldiers will eventually find themselves in. This type of virtual training is not only more cost efficient than more traditional training methods it also a safer way to teach soldiers. It eliminates the risk of soldiers becoming injured or even killed as a result of training exercises. It also serves to prepare them for real-world training and can be thought of as the pre-training process. The ability to capture one’s motions in a virtual environment allows soldiers to have a realistic training experience that immerses them in situations they will have to adapt to later. It prepares them by showing them what they will see in a real-life battle. Soldiers can train in groups or individually, using this unique video game. As of now, these video games are stored on CDs as opposed to in the cloud. The software manufacturers ensure that the gaming CDs are given directly to the military, making it impossible for hackers to gain access to them and put the safety of the public at risk. This is one of the reasons why military training video games are not available in a digital format. Even though training soldiers, doctors and such might be the absolute best way of using video games as effective as possible, it is used in many other ways as well. Sports, for example. People interested in a specific sport often play the same in video games. The Latvian floorball team, FK Talsi, said that this is one of their hidden weapons to success. They use video games (floorball and ice-hockey) to build up their team and teach them to play together and get a good overview look of the game. Future plans for video games used to train new members of the military include the eventual addition of augmented reality. For now, they will remain the way they are. However, as they continue to become useful for military training there is no doubt that these video games will evolve in ways people haven’t thought of yet, giving them a bright future. There are people that believe that videogames are a waste of time. They would much rather do something more productive. But are videogames indeed just a waste of time? We don’t think so. Below you will find some more reasons as to why we believe that you will do well if you play videogames. So, if you’re interested – make sure to read the rest of this article. The first reason as to why you should play videogames is that it’s fun. Just imagine that you’re coming back home from a hard day’s work and that you need to relax. Sure, different people have different approaches to relaxation. But we believe that videogames offer one of the best ways for this. You will be able to forget about all of your worries while you play. Your mind will have some time to regenerate. Having fun is a very important thing to do in life if you wish to stay healthy and positive. Then there’s the fact that videogames can be highly social experiences. You will be able to find tons of offline, single player games. However, multiplayer videogames is where it’s currently at. There are a number of battle royale, multiplayer online battle arena, and Massively multiplayer online role-playing games. 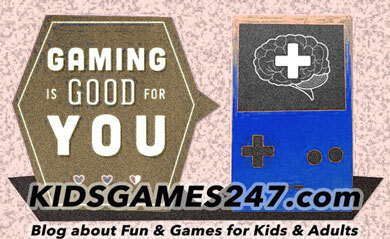 These are games that will enable you to have fun with your friends. Besides your friends – you can also play them with millions of other people from all around the world. If you wish to become more social – then these videogames are a great way to start things off. There aren’t many studies that show that you can increase your intelligence with videogames. However, it goes without saying that you need to keep your mind active if it’s to thrive. The more you use it – the better the shape that it will be in. And videogames have a fun way in which you can use your mind. The challenge level in most games is pretty adequate for most people. However, you can modulate it. If you feel that some videogames are too hard for you, then you can find easier games to play. Also, if you find that the challenge in the current game is not up to par, you can find a somewhat harder game. Videogames can teach you something about life itself. There are videogames that are solely focused on the gameplay and they offer no background stories of any kind. But there are also videogames that are specialized in offering you a full-bodied experience. They have intriguing stories and great characters that you will connect with as you play the game. In this way, you will be able to enjoy yourself by “playing a movie”, so to speak. All in all, there are many reasons as to why you would want to give videogames a chance. Sure, they may not be the most productive of experiences, but you will find that they still pack a powerful punch. We’re certain that you will have a lot of fun while playing videogames. There are many different kinds of videogames that you can play. That being said, there are also many more kinds to come. The latest advances in technology enable videogame makers to implement them and create different kinds of games. If there is one of these new genres of games that were inconceivable up until a few years ago – it’s the battle royale genre. What are the distinctions that separate this genre from the rest? Is this genre worthy of your attention when it comes to gaming? Read the rest of this article to find out. Battle royale is a term that describes an event in which there are many sides that fight a single battle. So, this is what the battle royale videogames are, in a nutshell. If you ever wanted to compete against potentially hundreds of other people in a single videogame event – this is the right choice for you. This genre is still relatively young – but there is a selection of games that you can try out. It’s argued that the battle royale genre started off with the game called Day-Z. This was a survival shooter in which hundreds of people wandered around a big map and fought off zombies. The great thing about this game was the fact that you can’t really separate friend from foe all that easily. You will see that people can be really malicious and that you will even need to be wary of people more than of zombies. But the multiplayer community of this game eventually died out and nowadays there are few people that play Day-Z. There are a few successful alternatives. We recommend that you try out Player Unknown’s Battlegrounds, or PUBG in short. This game has exploded on the scene recently and there are thousands of people that play it from all around the world. There are a few main maps where you will be able to duke it out against other players. The point of the game is to simply win. There are 100 players at the beginning of the game. All of you are parachuted on the map and all of you have no weapons or armor whatsoever. So, the beginning of the game is an important part where you need to act quick and get weapons and armor. There is a barrier that envelops the game zone – the barrier shrinks with time. So, the zone shrinks until there are no more players left. If this genre of games seems like something that would interest you, then we suggest that you try out the battle royale games. You will see that they are a lot of fun. But to be fair – they are not for everybody. It takes a lot of skill and patience and dedication for you to get good in a battle royale game such as PUBG. But if you wish to invest the time and effort – you too can become a good player. Moreover, you will have the time of your life while playing this very fun game. Remember the old fun duck games? That you played on your Nintendo. Nowadays there are many such consoles that you can buy for very little money. The sport of duck hunting has actually become much larger due to this game. If you go to this website you can find out more about different equipment for duck hunting. Who knows? Maybe it will be you new passion when you grow old instead of sitting in front of a computer or phone. It is very good for our brains to get out in the nature. Videogames can be an incredibly fun way to pass the time. If you’re feeling bored or you simply don’t have something to do – then playing a videogame can bring you back to life. No matter who you are, chances are that you will find at least some videogames interesting. But there is also the flipside to this. Videogame addiction is a real thing. You need to be very aware of this as it may end up running your life. But first, you need to assess your personal situation. 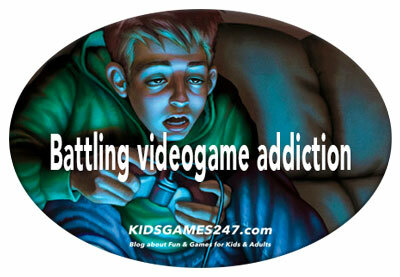 Are you a videogame addict? And what you need to do if you think that you are one? How much time to you spend gaming? You need to think of the time you spend in gaming, first. How much time are you using in gaming? Most people would say that they are positively spent after an hour of gaming. But there are many people that can play two, three, even four or more consecutive hours. As you may imagine, this is not a healthy habit – at all. Many gamers that play for long periods of time find that this takes a toll on their bodies. You have to sit in the same position in order to game. This can wreak havoc on your spine and cause all sorts of different deformities. Moreover, you have to remember that your body was designed to move. Also, you need to remember the notion of “use it or lose it”. Some gamers find the right balance between playing videogames and exercising. They use the best of both worlds. But you may be surprised at just how many people are doing nothing else in life besides gaming. And again, this takes a toll on their bodies. They get fat and weak. If you wish to be successful in life – you need to strive for the opposite. So, what’s your answer to how many hours you’re gaming per day? If your answer is up to two hours, then you’re most likely fine. But if your answer is more than two hours, then you may have a problem. The addictive potential of games cannot be understated. You may find out that you’re constantly drawn to reach new levels and upgrade your character or whatever it is about any particular game. You will eventually come to a time when you’ll know that it’s definitely time to stop. One good idea is to take a break and go into nature. There are many hotels, hostels and camping sites where you can enjoy time without electricity and technology. This is very good for your brain. One hotel in the UK that focus on this type of rehabilitation is The Forest Inn. If you click here you will find a lot of useful facts on what they can help you with. There are also plenty of other options that you can easily find on hotels.com or use google. You may have lost a few friends over incessant gaming. You may have problems in school or at work because of videogames. If you notice that there is anything in your life that starts to go awry because of videogames – then you need to stop. We advise an approach of cold turkey. This means quitting gaming altogether at least for 90 days. This will be enough to break the habit that currently destroys your life. Sure, it may not be easy to do this, especially at first. But with time your mind will reacclimate to the healthy pleasures in life. You will find that there is life beyond the videogames that you have played for the better part of your life. Video games are usually played as you sit on the coach. This is why they are commonly associated with obesity and laziness. But can playing games keep you fit and away from lifestyle conditions? The following perspectives will provide clear answers on whether you should include games as part of your fitness regime. There are different video games available for adults. While some are played on the coach, new games in the market today allow you to play on your feet. In fact, you will be seeing your simulation on the screen. These are excellent options if you are looking for an interesting way to have the games as part of your fitness plan. Furthermore, video games come with very exciting sounds that will fire you up. With the latest models, a different sound is produced every time you kick or knockout an opponent. You can attach sensors to your body that enable you to play with your opponent as if you are in the real world. Others are for running, sports, etc. It is the choice of game that determines your fitness levels. Video games are mentally involving. You need to be alert all the time to avoid losing. You also have to draw strategies that will enable you win. As such, games are an opportunity to exercise the mind and achieve mental clarity. When the mind is engaged over a long time, you will keep away from memory loss and other conditions like Alzheimer’s. It is exciting to play a game. Your mind and body gets fired up leading to an energy burst. This excitement will motivate you to engage in physical activities like playing an actual game of football or going outdoors for racing competitions. Gamers are wired to imitate the things they see on the screen. Play a video game and enjoy the excitement that spills to your real life. Video games are designed to elicit excitement that fires both your body and mind. 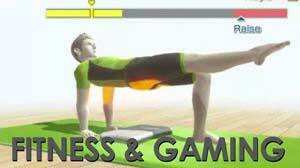 If you want to select a video game to incorporate within your fitness program, choose the ones that use sensors. The incorporation of sensors allows you to imitate possible movements that would otherwise have been created by the controller. The best way to play such games is with a partner or friend. Their engaging aspect will also enable you to bond and improve your socialization skills. Video games were originally considered for adults but they have spread to include seniors. This is after revelations that seniors stand to benefit more by gaming instead of idle sitting. Furthermore, haven’t our seniors done enough with their lives to warrant a few minutes with the controller? Video games involve a screen where action takes place and is controlled on your hands. From time in memorial, staring on the screen for too long was known to cause problems with your eyes. However, this myth has been debunked, especially among seniors. The screens in use today have also been advanced such that they do not cause damage to your eyes. Eyes are engaged in rapid movement that results in alertness and better vision. 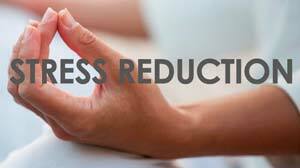 Seniors are faced with chronic stress because of prolonged idle hours. Their social interactions are also limited, leading to problems with physical and mental ability. They do not have the energy to engage in a lot of physical exercises. Their best solution is video games that keep their minds engaged and alert. This is an incredible stress reliever and a way to keep them off depression. Seniors have a lot of time on their hands. They might not engage their children on long walks or physical games. However, video games present an opportunity to play with fellow seniors etc. Such situations filled with adrenaline, friendly competitions and excitement are the perfect scenarios for bonding. It helps the seniors to engage and spend quality time with people in their lives. One of the problems that seniors face is decline in mental health. This is accompanied by loss of memory and physical ability. Nerves are also likely to be affected as the brain begins to slow down. Video games offer a risk free opportunity to exercise the mind. The senior has to develop strategies to beat the opponent, and try even harder because he or she is playing against a son or grand son. This summons his mental faculties leading to a sharp and alert mind even in old age. A sharp mind slows down the process of aging and enables you to enjoy senior years with your parents. Video games are exciting to play for seniors. The fact that they demand mental alertness ensures that seniors retain their sharp mental ability even in old age. With a chance to engage with fellow seniors, relatives etc this is the perfect opportunity to socialize. 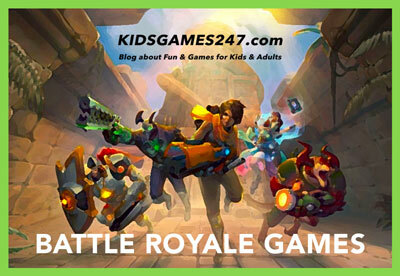 Welcome to Kidsgames247.com! Here we write about all sorts of games, not only for kids. So don’t let the domain name fool you. We love all sorts of video games, browser games, computer games and money games. Note that we sometimes write about gambling related money games NOT suited for anyone under the age of 18. We can not take responsibility for who reads this blog. If you wish to explore only kids games, then please see that specific category. We hope you find some interesting games and reading!